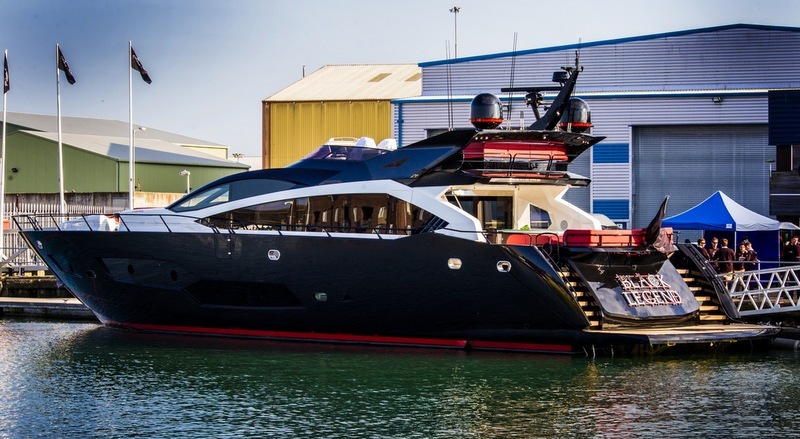 Sunseeker International announced the launch of the new 101 Sport Yacht for spring 2014, neatly plugging the gap in their sports yacht range between the 80 and the 115. 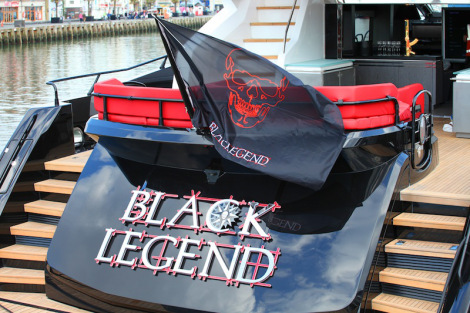 The first 101 off the production line finished in an eye-catching black and red colour scheme and boldly named “Black Legend,” highlights the ultra model style of the 101. So the WSB team take a closer look into the dark mysterious facade of the new 101 arrival. The highly anticipated new generation 101 Sport Yacht immediately strikes you as a head turner thanks to its bold looks and styling. Sporting aggressive yet sleek lines and the option of carbon eyebrows and coachroof, the 101 Sport Yacht is unmistakable. 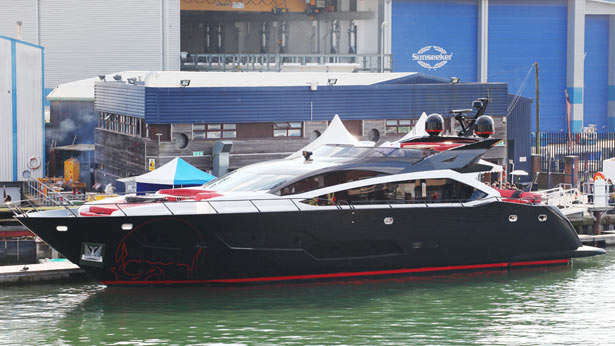 The epitome of contemporary styling, this stunning yacht takes modern boat building to a higher level. The interior of the 101 Sport Yacht has been expertly finished and the attention to detail throughout the yacht is second to none. The open plan saloon has a spacious feel to it thanks to the expansive glazed windows, which flood the saloon with natural light. The luxurious theme continues in the four exquisitely detailed cabins. 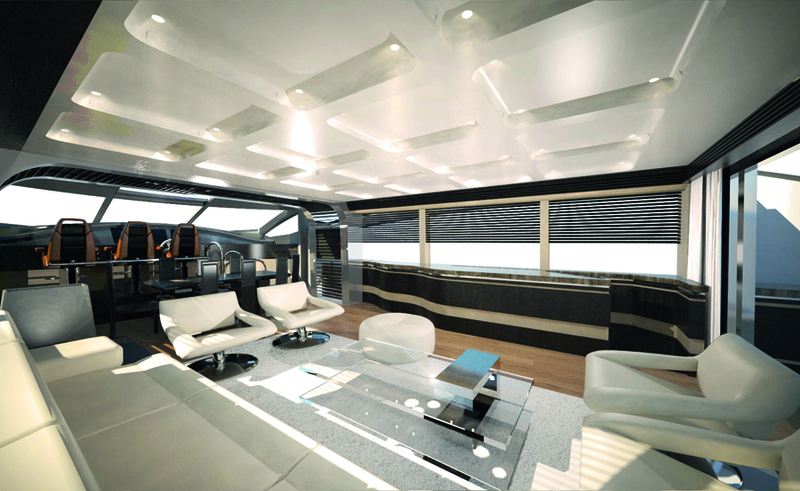 The 101 Sport Yacht also offers a flexible galley combined with crew quarters amidships. As you would expect at this end of the spectrum the customer can apply as much customisation as required for a unique fit and finish. A range of fabrics, woods, leathers, stones and where possible layout, to reflect customer preferences and passions to create a look that’s as individual as the 101. Blending almost imperceptibly within the sleek lines of the yacht, the large flybridge on the top deck provides the perfect open air entertaining area. Boasting two lounge areas in which to relax, a dining area, a sunpad and fully seated bar, the flybridge is a sight to behold. 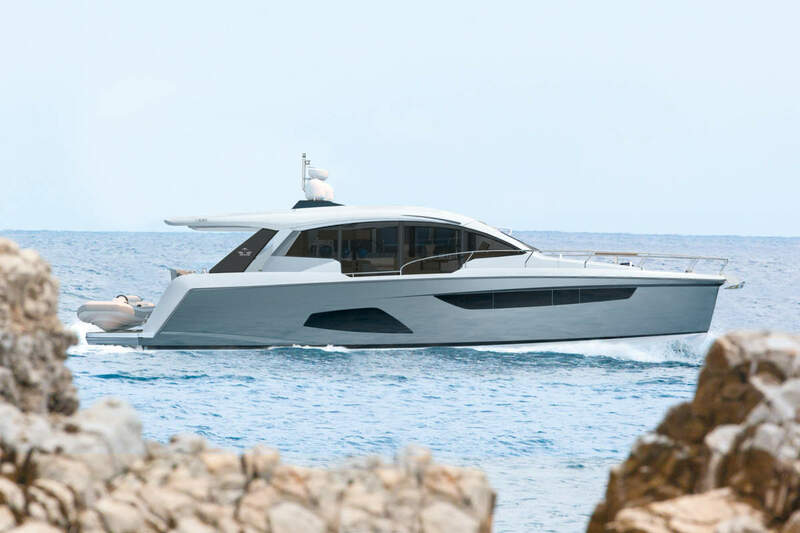 The 101 Sport Yacht matches its good looks with outstanding performance and can achieve top speeds of up to 30-40 knots depending on whether shaft or arneson drives are chosen. We want to leave you with a great video insight to transporting a new Sunseeker Sport Yacht 101. Our question, “just how long does it take to load a Sport Yacht 101 onto a cargo ship?” the clue is in the sun, enjoy!